Next time people accuse you of being unhelpful or moody, put the blame on hot weather! A study claims exhaustion and dehydration during summer's hot temperatures makes people less willing to be helpful. 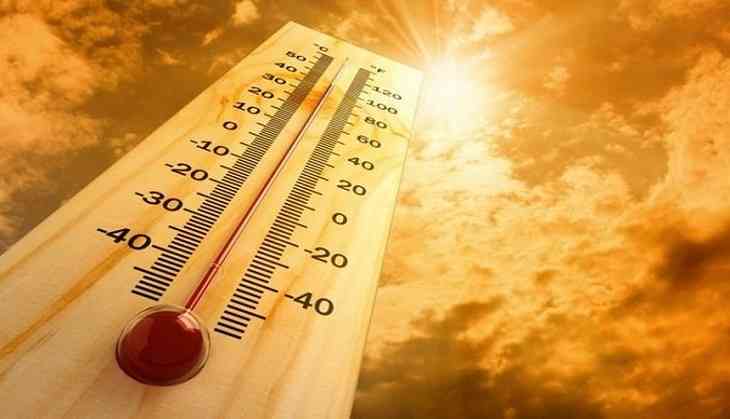 Associate professor Liuba Belkin of Lehigh University in Bethlehem, Pennsylvania, and Maryam Kouchaki, assistant professor at Northwestern in Evanston, Illinois, conclude in a new study, that when when it's uncomfortably hot, we're less likely to be helpful or "prosocial." In an interview with Quartz, lead author Belkin said, "The point of our study is that ambient temperature affects individual states that shape emotional and behavioral reactions, so people help less in an uncomfortable environment, whatever the reason they come up with to justify why they cannot do." The three-part study, "Exploring the impact of ambient temperature on helping," published in the European Journal of Social Psychology, helps to explain how and through what mechanisms ambient temperature influences individual helping. Data provided by a large Russian retail chain for part one of the study allowed the authors to analyze differences in individual behavior under hot versus normal temperature conditions. Clerks working in an uncomfortably hot environment, according to the data, were 50% less likely to engage in prosocial behaviors, including: volunteering to help customers, listening actively, and making suggestions. Liuba says "In part two of the study -- a randomized online experiment -- we asked paid online panel to just recall or imagine situations where they were uncomfortably hot and then, after measuring their feelings and perceptions and a number of survey questions, asked them to help with another survey for free. Participants weren't even experiencing heat at the moment -- and we still found that, compared to the control group, the participants were more fatigued, which reduced their positive affect and, ultimately, prosocial behavior." Only 34% of the participants who were asked to recall a time when they were uncomfortably hot were willing to help with the free survey, compared to 76% in the control group. Interestingly, Belkin and her co-author also saw that recalling being uncomfortably hot also increased their negative affectivity, but it did not have any impact on prosocial behavior, while reduction in positive affect did. In part three of the study, Belkin and her co-author found that even slight fluctuations in temperature changed behavior. Belkin chose students in two sections of a college management course as subjects for a field experiment (one group sat in a lecture in a room that was uncomfortably warm, the other group sat in a room that was held in an air conditioned room - there was a 15% difference in the actual room temperature). She then asked the students to answer a series of questions and fill out a survey "for a non-profit organization that serves children and underprivileged individuals in the local community." Only 64% in the hotter room agree to answer at least one question, while in the cooler room 95% did so. Interestingly, even those who agreed to help in the hotter room, they helped less, answering, on average, six questions, almost six times less than the number of questions answered in the in cooler room (average 35). Some of those students probably wanted to leave and escape the stickier room, said Belkin to Quartz, "but whatever the reason, it affected their perceptions, emotions and behavior." Belkin adds that she was also able to replicate the mechanism that drives reduction in prosocial behavior - the same pattern of results as in study two showed that uncomfortably warm classroom temperature increased fatigue, reduced positive affect and led to less helping. The findings have been published in European Journal of Social Psychology.